This is the maybe easier said than done. You’re going to bounce back and forth between Confusion and Acceptance. You may think you’ve accepted it and then you see, touch, smell something that reminds you of a happy memory with him and then you’re back to asking yourself more questions. I find myself returning to the Acceptance phase a bit more to remind myself that it’s okay to move on, because it’s the best thing for me. I feel like this is the hardest of the four phases to write about. So many mixed feelings. Songs aren’t as readily available to match what you’re feeling or need to hear to get through this. You feel like you have to remain strong and not show that you may still feel a bit of the sting from the situation, especially if you see this person more often than you’d like to. This person knows they hurt you, but he isn’t going to know you’re going through phases. He’s possibly so thick headed that the minimal effort he’s putting in to stay connected to you is fine, because, in his eyes, you should be well passed your issues with him. In my sitch, I have to see this person almost every week and every week, I think I’m okay when he comes by to make small talk with me before his new girlfriend comes over. I put on a brave face, remain polite and try to be somewhat cordial, but it’s oh so hard to want to look him in the eye. Those eyes, of his, that made me feel safe and free to be me. Those eyes that showed the pain that he went through and reflected the desire to express his feelings to me. Those eyes, that, at one point, I could stare into and feel as if we could exchange thoughts without saying a single word and the world would just whiz by. What am I supposed to do now? I’m not an avoider! I’m not going to not show up to my weekly scheduled program because someone else played footie with my heart. Yes, I miss him, but I don’t miss what he put me through, his broken promises, his curtness, or his lack of consideration for my feelings. So what am I holding onto? I’m holding on to all the good memories. Those things that keep us all from accepting that it’s just not going to happen. 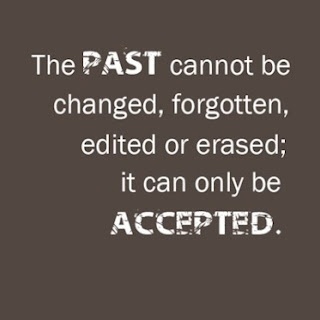 That’s what we have to accept. He’s with her now. You may not like it; you may not like her, but that’s the cruel truth. Accepting isn’t moving forward; it’s what we have to get through TO move forward. This is the time to reflect on why it wasn’t going to work. Why he isn’t good enough for you. Why he treated you like he did, or better question, why you let him treat you like he did. Maybe you enjoyed the attention. Maybe you thought you were really getting through to him and helping him move forward. You just didn’t realize that him moving forward did not include you in his plans. At least not in the romantic way, like you were planning. This is also the time that he is in the “honeymoon” or infatuation phase with his new lady, so any hope that you can remain close friends and potentially move forward with mending said friendship may just have to wait, if you even want to work on it at all. I really thought I wanted to keep this person in my life, but after realizing that he really didn’t care about me or how I felt, I just knew that I’d be a fool to want to keep him in my life. I knew that he could possibly still have access to those heartstrings and tug away at any moment. Knowing myself oh so fully well, I’d be at his beck and call at any time, because that’s just how I am. As I write this, I just know that I would still be there for him. Even though I know he won’t or maybe can’t do the same for me. It’s just a matter of principal to make sure that you can accept that from yourself. Are you able to table your feelings toward someone to be there for them or are you just not able to do that? Are you able to be strong enough to stay away from someone? Can you rely on your own willpower to stay away from someone, who you could consider an addiction? It’s an addiction to feel out of touch with someone you spent so much time with. I still go through the withdrawals of not having, quite possibly, my closest friend, there to share the silly things, the emotional things, the hard things that you wouldn’t share with anyone else on the planet. Am I willing to acknowledge that the connection is broken? Do I want to fix it or let it be? Well, that’s why this phase is so important. Getting your duckies in a row before you completely get over it and move on is super important. You can accept facts, but can you get over them? No one wants to be brokenhearted and it’s easier to forgive than forget. 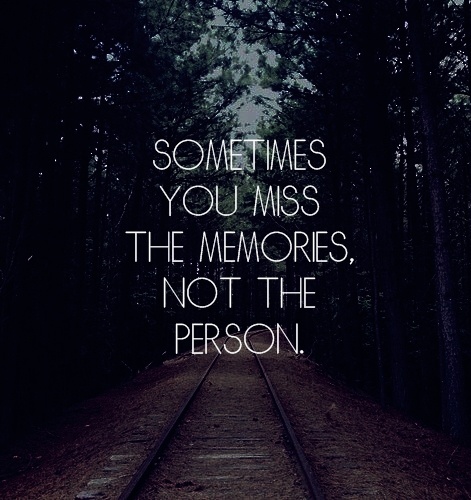 However, if you are going to get over it, you MUST be able to forget. I don’t mean forget that anything ever happened or this person exists. I mean you cannot harp on the events that caused you to have disdain for this person. This WILL eat you alive and WILL destroy the next potential relationship. Not only will you dwell on this person’s errors in your relationship, but you will hold others accountable for his mistakes. You do NOT want that on your conscience. Do yourself a favor. Take as long as you need to get yourself through this phase. It IS just a phase, but it’s an important step to assure that you’re happy with yourself and with letting this person, who dredged your feelings through rocky terrain, go on and live his life the way he chose to do so. Some food for thought, this person may have met his soul mate. He may just need a transition person to get over previous heartache, but that’s not of your concern. He may be back in your life in a bigger and better way, or he could just end up being just another chapter in your long book of life history. Either way, that is no longer something you should worry about. Take time to hang out and appreciate the other people in your life. Maybe you kind of let things drop off with others, while you thought you were being swept off your feet. Reconnect with those who have been in your life so much longer and should mean more to you. You could be making their lives that much sunnier again. Maybe they are in a similar phase as you. Build up the relationships you have with others before you move on to the next phase. To help out, feel free to check out the Acceptance playlist. It’s currently the shortest of the four, but I will continue to add as I find new songs that are worth adding. Just like last week, if you think I should include a song that isn’t on the list, please feel free to share with me in the comments. Until next week. Happy getting though Valentine’s Day week and enjoy President’s Day!